Have trouble remembering your numerous passwords? Now remember only the Master Password for Simple Password Manager and the application will remind you the other passwords you store within. 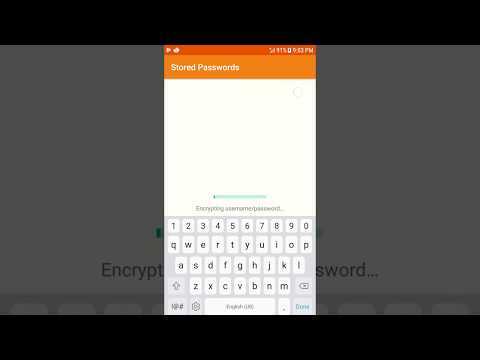 This application uses Password Based Key Derivation and AES Encryption to securely store your passwords. You have full control on encryption method and can configure it depending on your performance or security needs. NOTE: DUE TO APPLICATION'S SECURITY DESIGN, IT IS NOT POSSIBLE TO RETRIEVE A LOST MASTER PASSWORD. I value your privacy. Hence, this app uses minimal permissions, is offline and does not sync data or do anything without your knowledge.